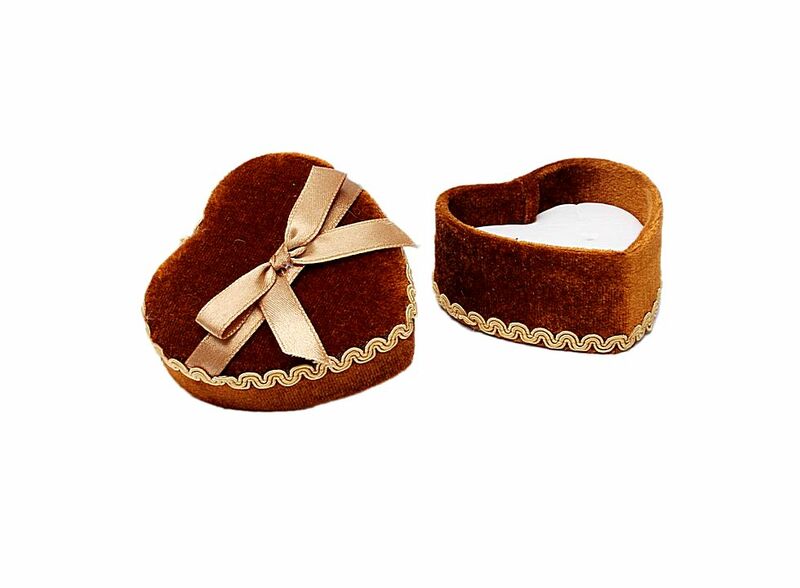 Beauty Small Box Brown Heart-Shaped HK-S01543, Buy at lowest prices. Lovely Beauty Small Box Brown is elegant and noblest jewellery gift box, brilliant and amazing. The Jewelry Box with refined jewellery is the best gift for families and friends! This the perfect gift for your friends, your mother or yourself. Size: 2.76" x 1.65" (Dia. x H).